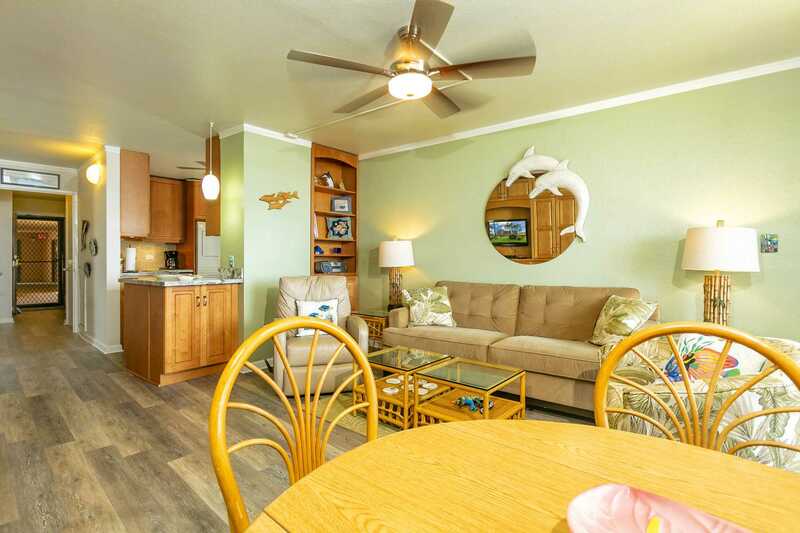 Welcome to Island Sands Unit 206, an ocean front community that sits on the waterfront away from the road. 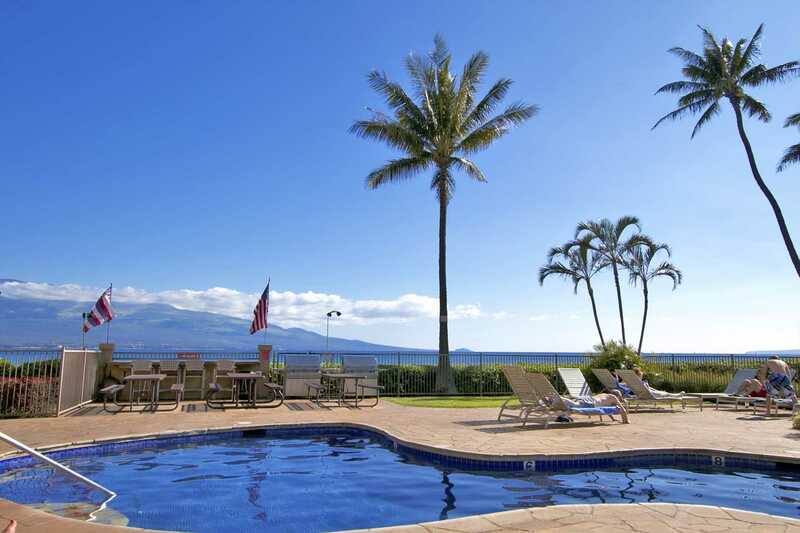 Spectacular ocean, island, and Mount Haleakala views! 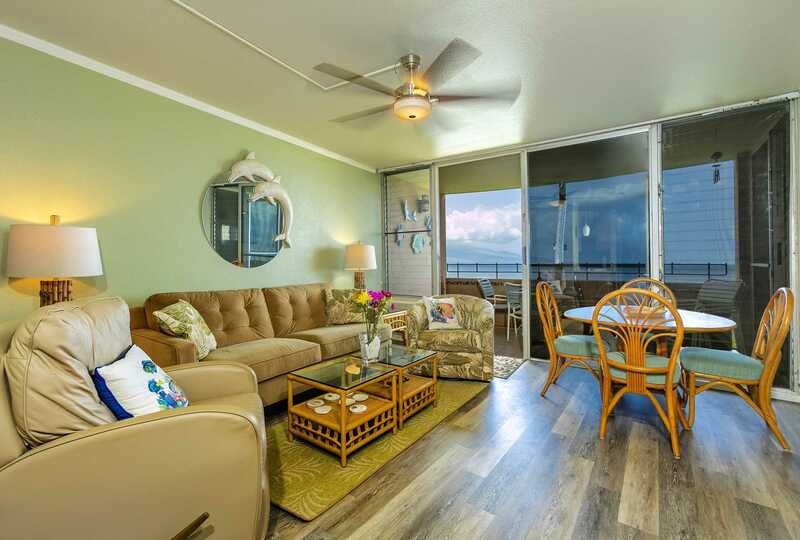 This lovely two bedroom two bath condo faces the ocean. 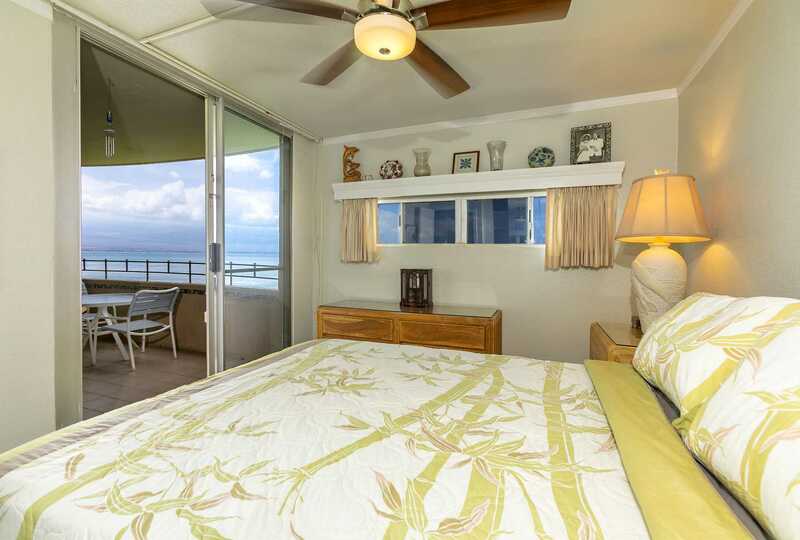 Gorgeous ocean views from the lanai, master bedroom, kitchen, living and dining room. 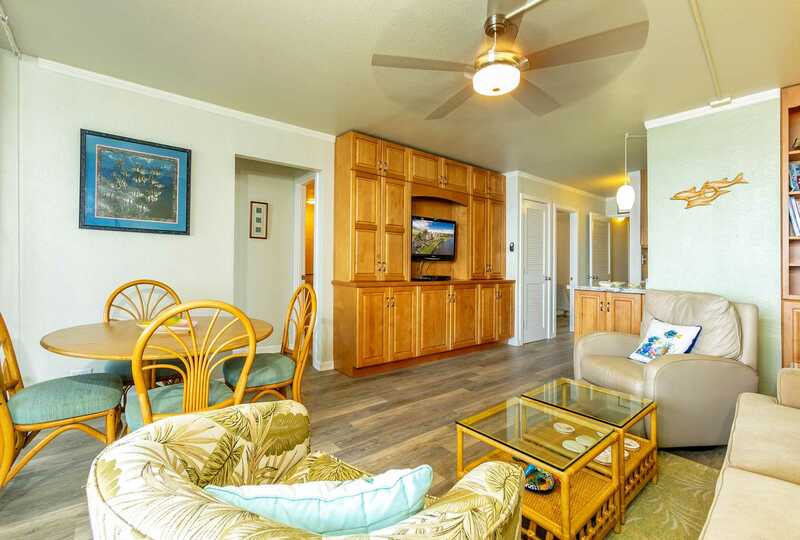 There is a lanai entrance from the master bedroom and main living area. 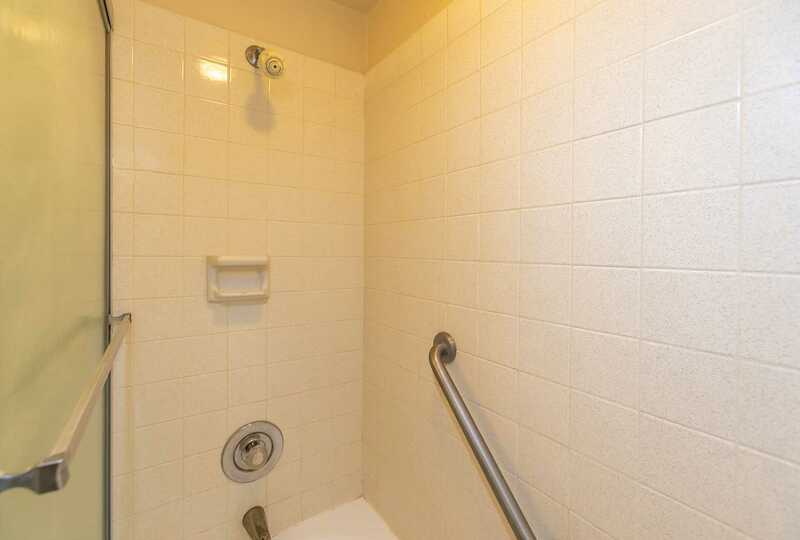 The condo is on the second floor. Interior is 802 sq. ft. including the outdoor lanai the sq. ft. increases to 913. 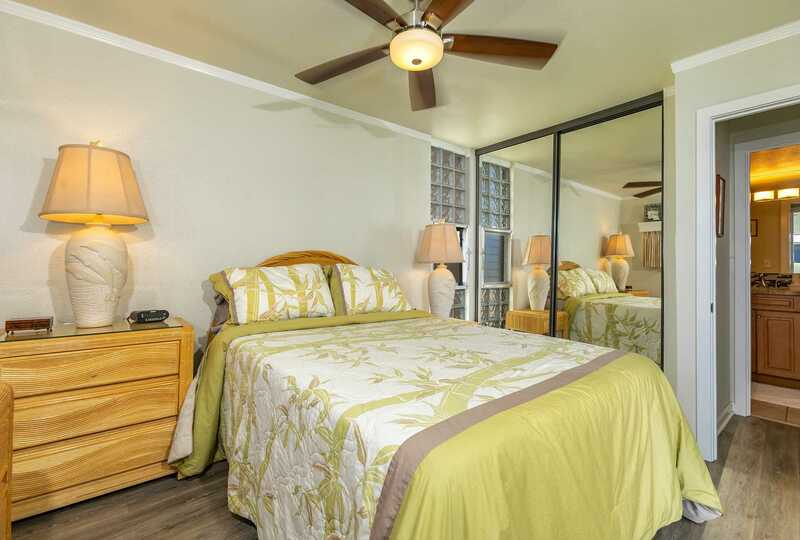 The unit includes window A/C in the living room and four ceiling fans throughout. FREE 5G speed Wi-Fi Internet for your laptop and other devices. 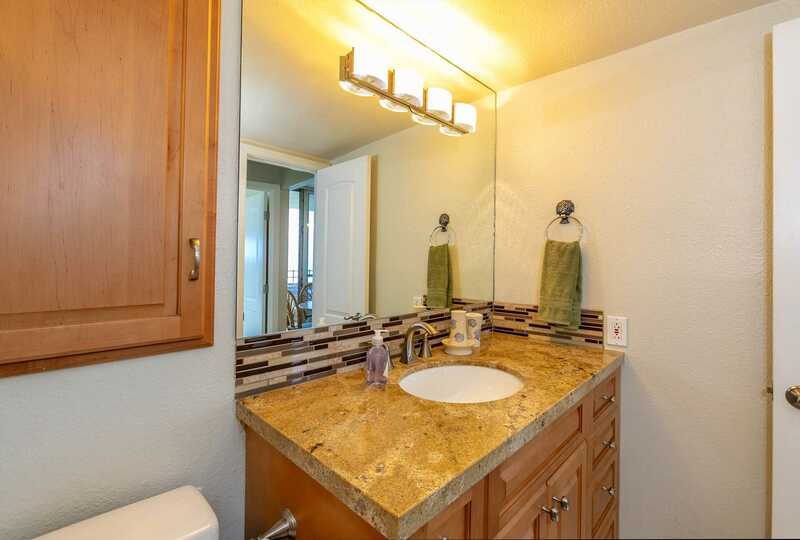 This nicely remodeled home has new wood floors. 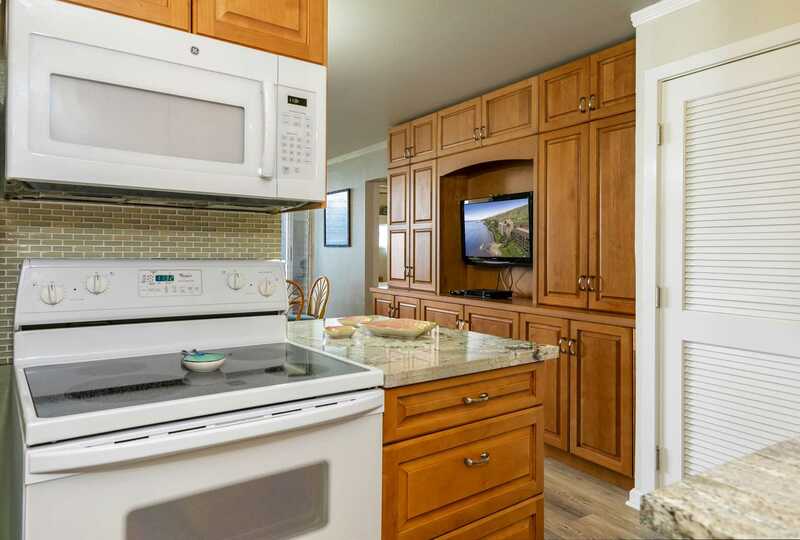 The kitchen is fully stocked with dishwasher, stove/oven, microwave, and full size fridge. Linens and towels are supplied; washer/dryer inside the unit; a telephone for free calls to USA and Canada, and cable TV. 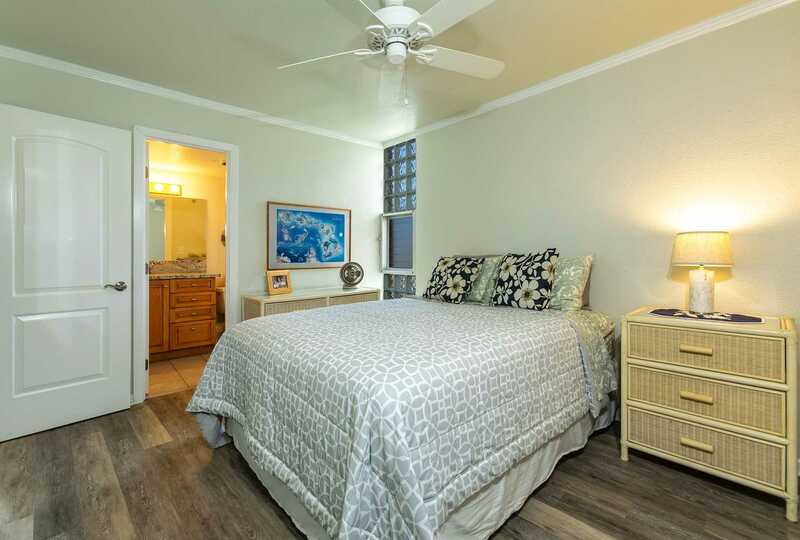 The master bedroom and second bedroom both have a Queen size bed. Beach chairs, cooler, and beach towels are provided. 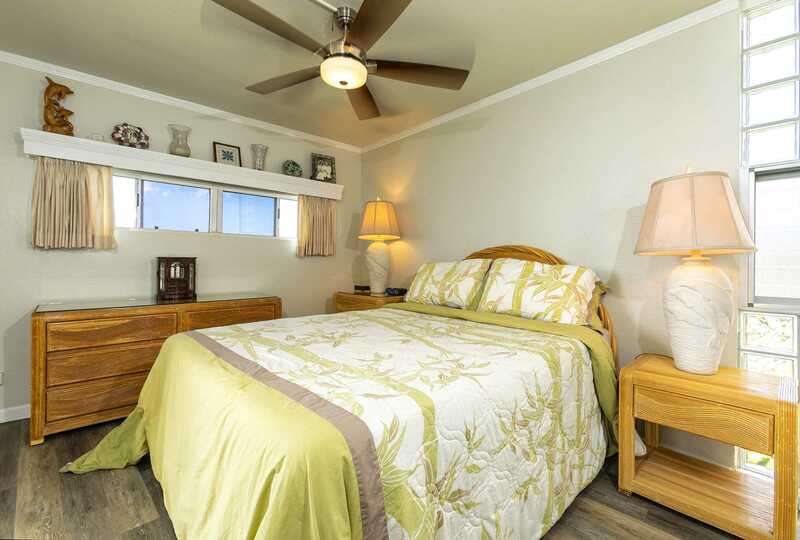 This home is a wonderful value and sleeps up to 4 people. The complex has an ocean front swimming pool with lounge chairs. Enjoy dining and cooking your meals outdoors. There are propane BBQ grills, tables and chairs. Island Sands is a quiet, friendly place with Aloha Friday. Enjoy complimentary coffee and donuts 8:00-9:00 am. The winter months. Ma`alaea Bay is where the whales play and have their babies. 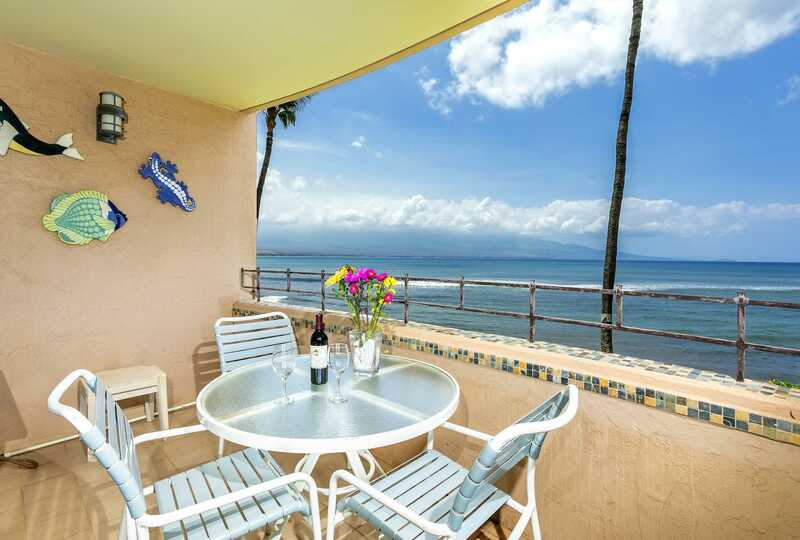 Humpback whales can be seen in abundance from your lanai from December through April. Heading south along the sidewalk and past a few condominium resorts is Haycraft Park and Sugar Beach, the longest undeveloped beach on the island. This is a great beach to swim, walk, jog, birdwatch and shell hunt for miles in peace, away from the crowds. 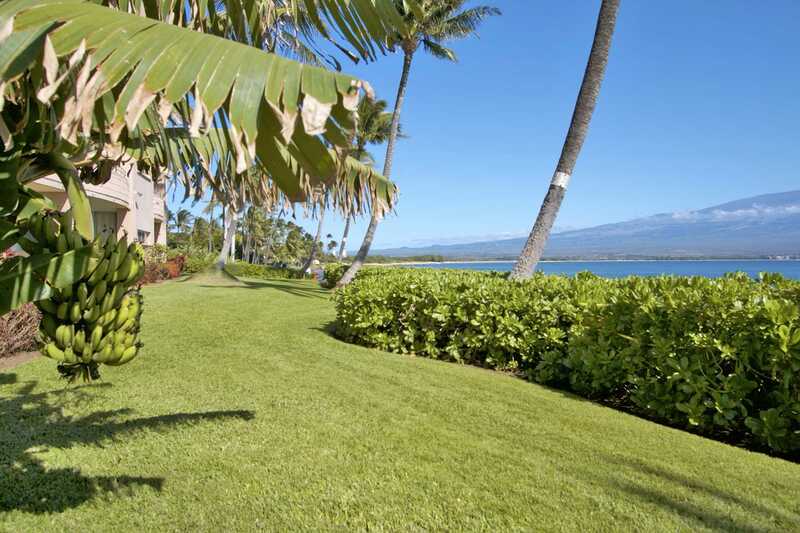 The beach is several miles long and eventually connects you to the community of Kihei.Heading north is Ma'alaea Harbor. If there is a big south swell, the wave off the harbor, "Freight Trains," can be one of the best in the world attracting expert surfers. From your lanai view surfers from around the world surfing the famous wave. Humpback Whale National Marine Sanctuary are a short drive away. "Great place! As expected, very nice experience overall. Love the location. Very low key and great access to some beautiful walks and swims. 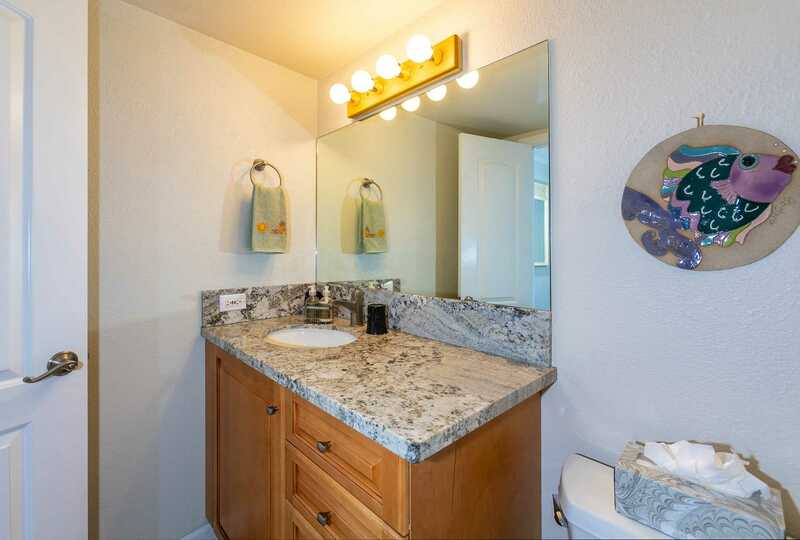 If you're looking for a place right in the heart of a town or city, this may not be for you, but if you want a relaxing beautiful condo, this is your ticket! 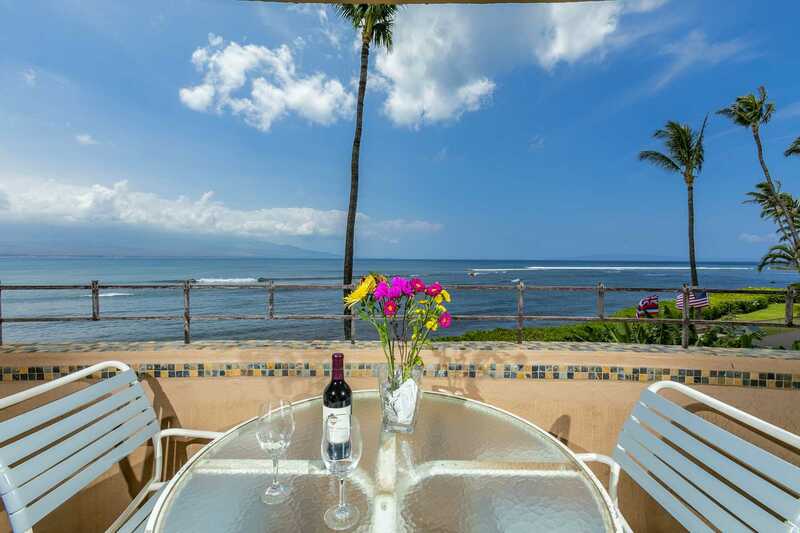 Will hopefully stay here again soon :)"
"We ended up in Island Sand 206 after arriving in Maui and finding our original Airbnb Rental extremely disappointing. We had our son, his wife and 2 grandchildren arriving the next day and knew we couldn't stay there with them so we had to find something available the next day. There was very little available on a days notice in peak season and while we liked the photos, I was a little worried because there were only a handful of reviews. Well, my worries were completely unfounded and I'm still shocked that this gem was available for us. We had purchased our groceries immediately after arriving on the island and had no place to store them in the hours between leaving the first condo and check in at Island Sands 206. Kathy graciously made arrangements for us to drop off our food and luggage at the unit early even though the cleaning lady (who was an absolute sweetheart) was hard at work preparing the unit for our arrival later that day. She even let us leave our luggage so we'd have room in our vehicle for our kids luggage, strollers and car seats when we picked them up at the airport. I know this meant our stuff had to be moved around so that the unit could be cleaned properly but the cleaner made us feel that this was absolutely no problem. We all arrived back at the unit a few hours later and began settling in. 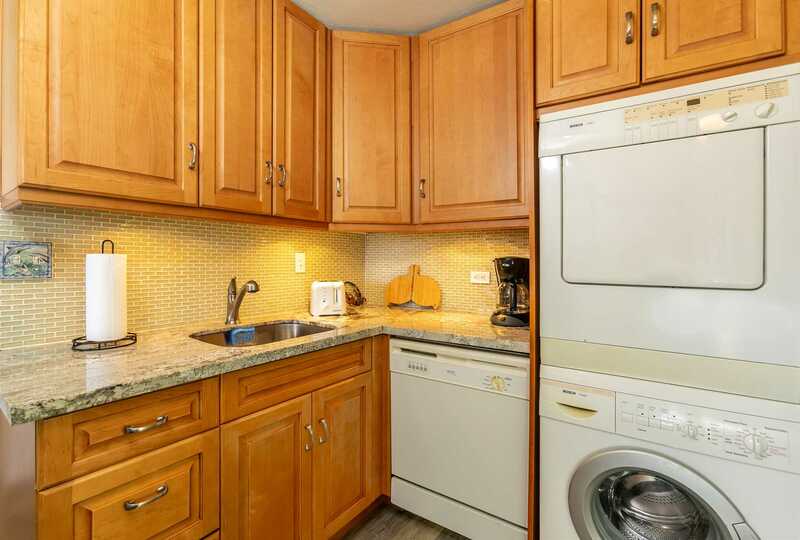 The unit was sparkling clean and and I began to explore it to see what we would need to buy since I had not had time to inquire in advance about cooking supplies, bathroom/laundry supplies or beach items. Well it was all there and more!There was a beach cooler, beach chairs, an umbrella and tons of beach towels, there were plenty of paper products, dish soap and laundry soap. The kitchen was extremely well stocked. There were plenty of good pots and pans, storage containers, mixing/serving bowls, utensils, casserole dishes and baking sheets. There were way more appliances then we needed including a toaster, blender and electric kettle. And the cupboard and fridge were full of basics including plastic wrap, aluminum foil and plenty of spices. Since we were travelling with 2 kids under 2, we prepared almost all of our meals ourselves and this was a breeze here. The unit was plenty large enough for 4 adults and the two little ones. 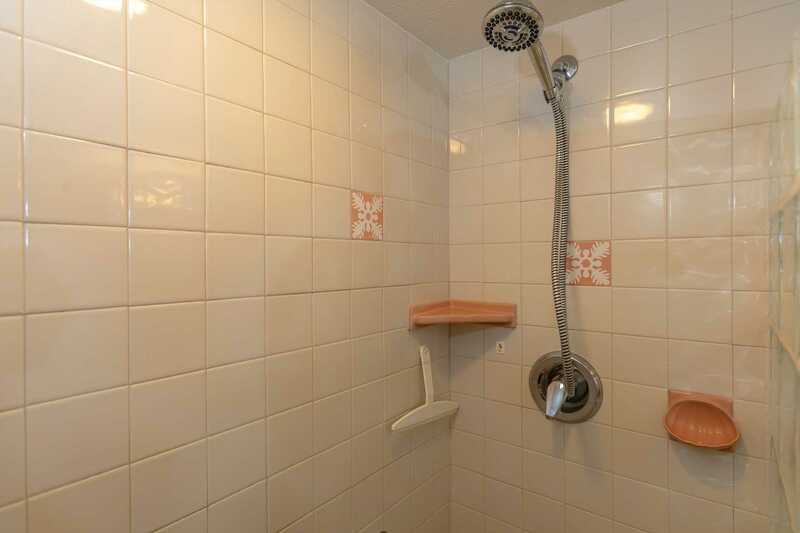 The walk-in shower in the master bathroom was very spacious and having a bathtub in the second bathroom was terrific for bathing the little ones. The kitchen is a little tight but since its partially open to the living and there is a ton of extra storage in the cupboards that take up one entire wall of the living room, we were able to store our snacks and bar supplies there which gave us plenty of room.An earlier review mentioned that the furniture was dated but it isn't really dated so much as it is a particular tropical style that is common. It is the exact furniture that you see in the photos and it is in very good shape and is clean. 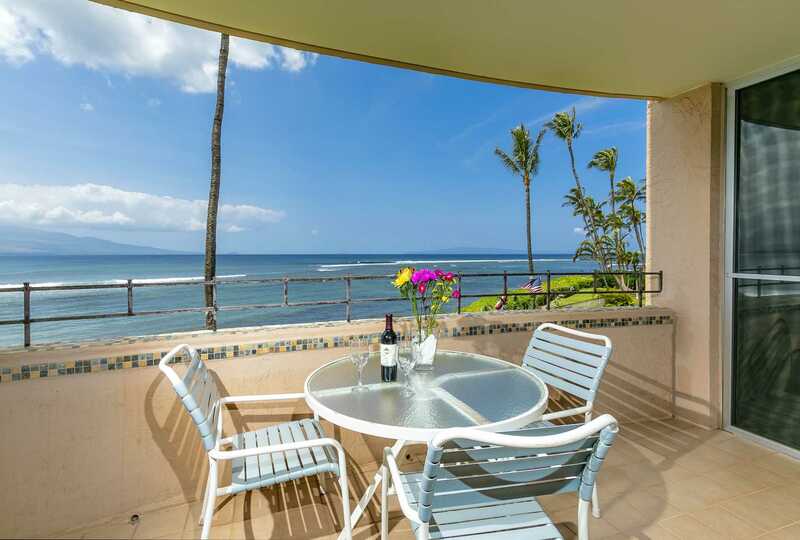 The lanai is truly spectacular. The view is amazing and we were able to see whales (and get a close view with the binoculars thoughtfully supplied) and watch the turtles playing in the rocks right below us. 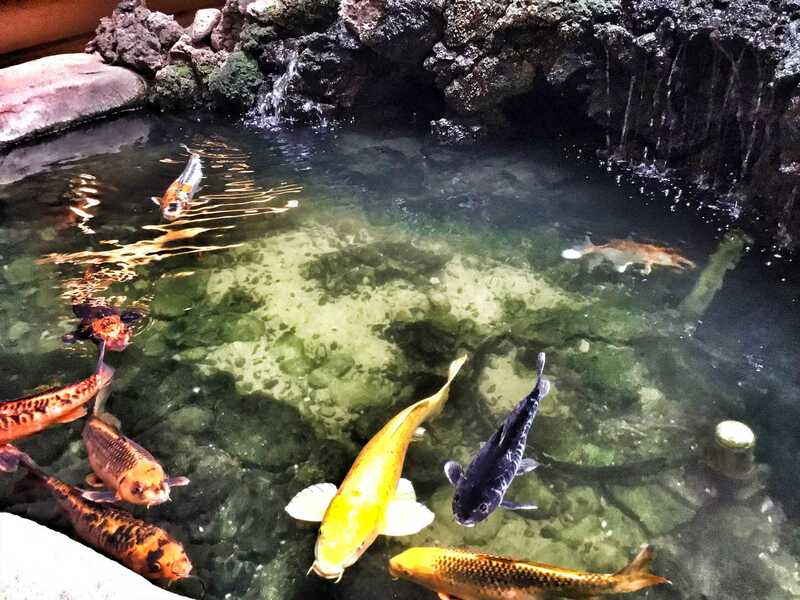 The grounds are very well maintained with beautiful flowers and grassy areas and there is even a little Koi pond near the elevators. The pool is heated which made it a delight to play in when we got home after long day beaching or sightseeing and there are are plenty of lawn chairs and tables around the pool. There are two large shared grills in the pool area and there was a never a wait to use them. There is a real neat group of owners who gather at the tables near the grill every evening and my husband loved taking a cocktail down to the grill and talking to these folks each evening. They offered us lots of tips and even invited us to a potluck one night. These folks were so awesome and friendly to our grandchildren and once they discovered that our granddaughter loved to press the elevator buttons they would wait for her if the saw her coming so she could press the button for their floor too. As mentioned in another reveiw, the parking spot is at the end of the row right next to some bushes so it is tight but we managed even with a Suburban and there is parking on the street if you want easier access in and out of the drivers door. The staff in the building office are really helpful and gave us a bunch of restaurant coupons and even gave us a code to receive $5 off each admission at the Ocean Center. As you can see, we loved the place. 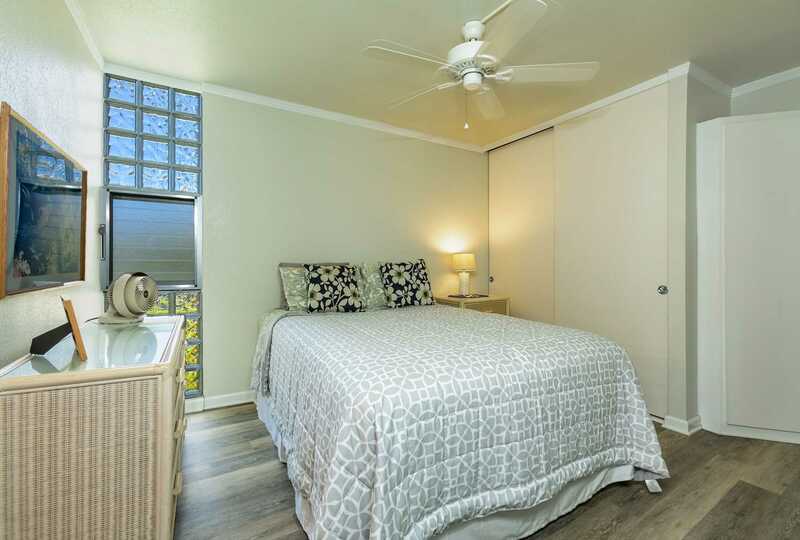 My husband and I were staying on Maui 3 days longer than our kids and had (previously made) reservations at a much more expensive hotel in Lahaina for that time and in hindsight we wish we had simply stayed at Island Sands 206.
Review #24326970 "Island Sands Unit 206 is a direct ocean front, ocean view home. Listen to the sounds the sea" Simply Amazing! 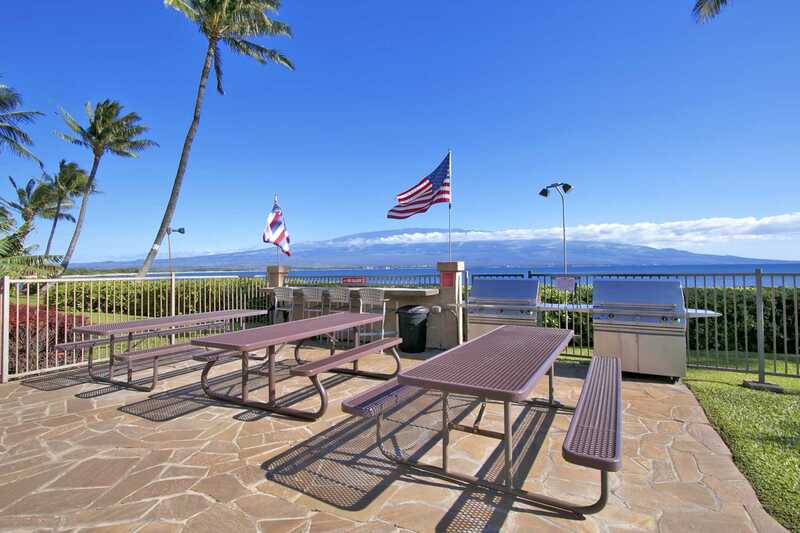 Very nice and well appointed condo with most everything you would need while visiting Maui. 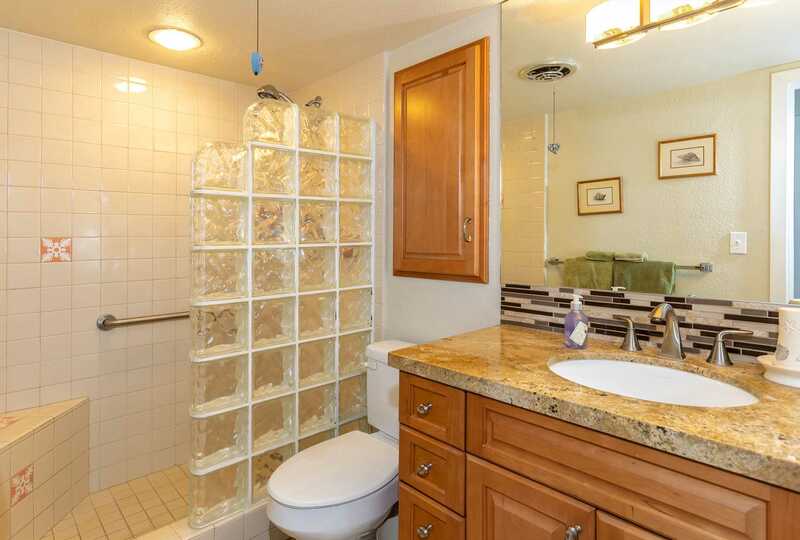 Great central location so you are close to it all. We would definitely stay again. - Larry S.
Nice and open, airy and bright. Everything you need to make this your home away from home. Swim with sea turtles and enjoy crystal clear waters- perfect for snorkeling.